I want to ask you now to think about that little voice in your head, the one that keeps up the constant narration throughout your day. Have you noticed it before? As you go about your regular life, you have probably become somewhat sensitized to that voice, so much so that you may not even realize that it’s there. 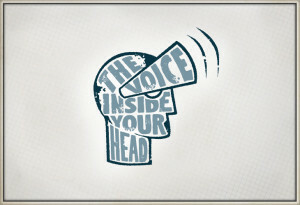 What is your inner voice telling you right now, as you read this? 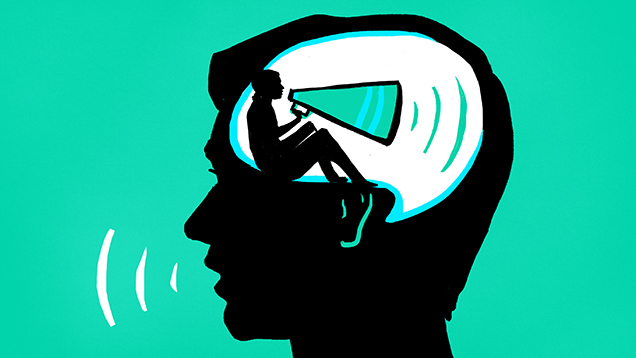 Your inner voice likes to argue with itself. It doesn’t mind taking both sides in an argument. The voice just wants to keep talking. Think about when you’re trying to sleep, and the voice just chatters away. Non-stop, all the time. Sometimes you’re trying to focus on something you enjoy doing, but can’t quite get past the inner dialogue. Occasionally, you might even try to do something just to shut the voice up, like having a drink or distracting yourself with a movie. It can be easy to think that the inner voice is telling you the truth. It feels like it’s you talking, because it’s in your head, and so it’s easy to think that it has to be right. But if you really think about it, that inner voice is wrong fairly often. That’s the voice that has misunderstood people in the past, it’s the voice that told you you’d fail when you succeeded, and it’s the voice that has made you feel badly about yourself in ways you’ve never deserved. That’s because the voice isn’t actually you. It’s basically one big mashed-up mess, an amalgamation of all the voices throughout your life that have impacted you. It’s the people who were and are around you, it’s all the movies and tv and ads you’ve ever seen, it’s the media coverage of current events, it’s every teacher you’ve ever had – add them all up, and that’s the voice you’re hearing in your head. That voice is not you. Here’s your homework: just notice. Spend a day or two just listening to the voice and making note of what kinds of things the voice is saying. Good, bad, self-deprecating, neutral, nagging, doubting, encouraging – whatever the voice is saying, just notice it. Once you feel like you have a good sense of your inner voice, check back here for part 2.